With over forty years of experience in the plumbing and mechanical fields, Kenny is now retired from active inspection work, and is a regular speaker at home inspection conferences and trade events across the country. His 2012 appearance at annual ASHI Inspection World conference was his 9th speaking appearance. 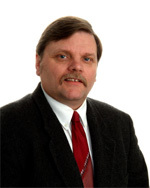 Kenny has also has authored numerous articles and is a contributing editor for the ASHI@Home Training Program. Let me help you make your next conference a success! 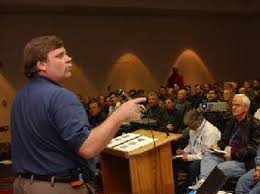 Do you need an expert to present at your plumbing or home inspection event? My presentations are both informative and exciting. With more than 40 years in the plumbing and mechanical trades and a slightly blue collar since of humor, I try to educate and entertain my audience at the same time. I also use slide animations and sound effects to help make complicated plumbing and mechanical issues more easy to understand.